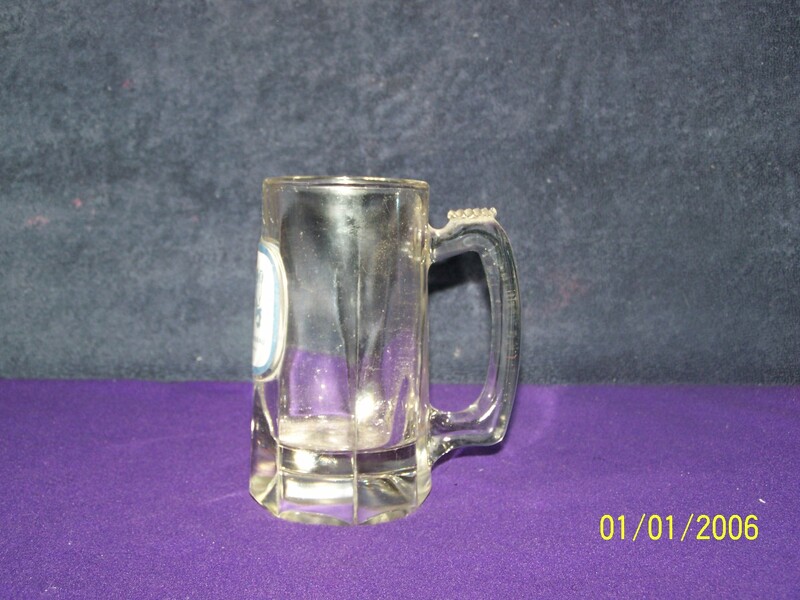 This small Stein is a tankard example produced from thick glass to withstand spirited clinking during merriment. It serves a single 12oz. pour and the handle helps to eliminate heat transfer from the hand to the glass while drinking. 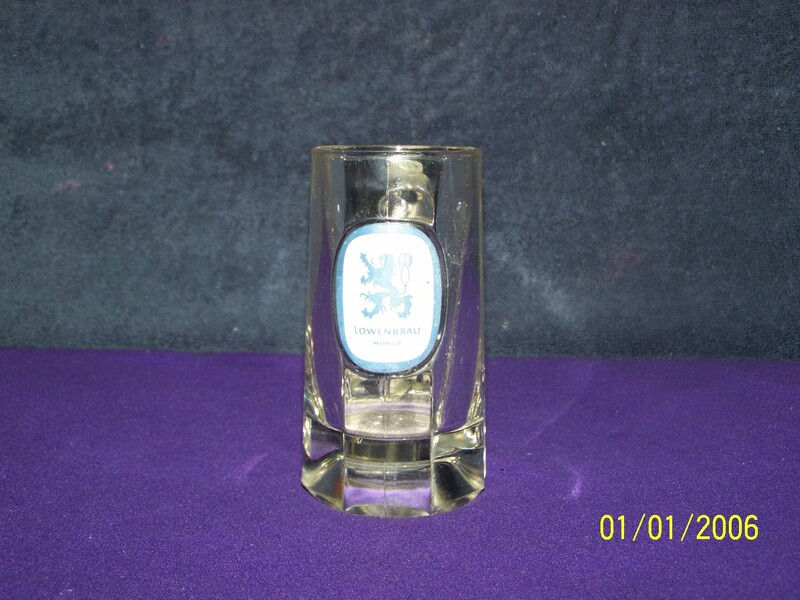 This Lowenbrau collectible is a part of the B.L.A.S.T:Museum Tankard/Stein permanent collection. 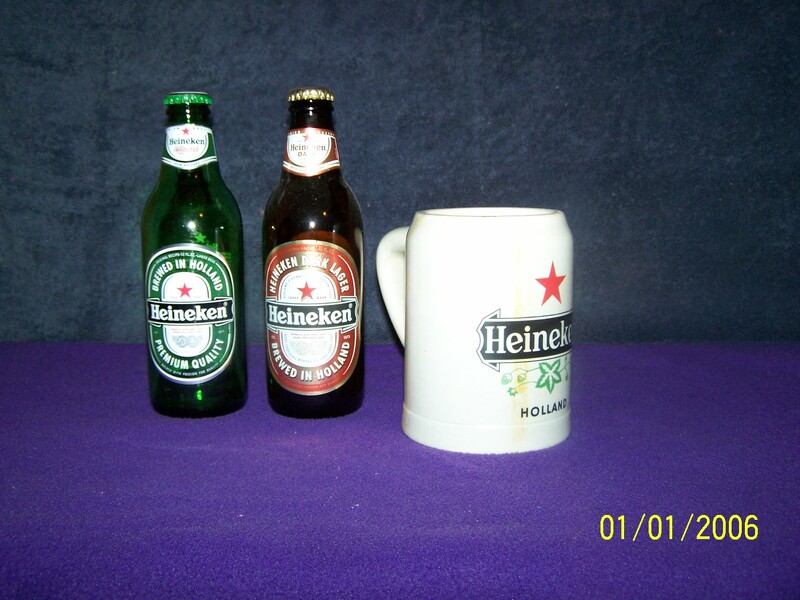 This Heineken collectible is an example of a mug. A mug is simply a stubby tankard that does not have a lid. 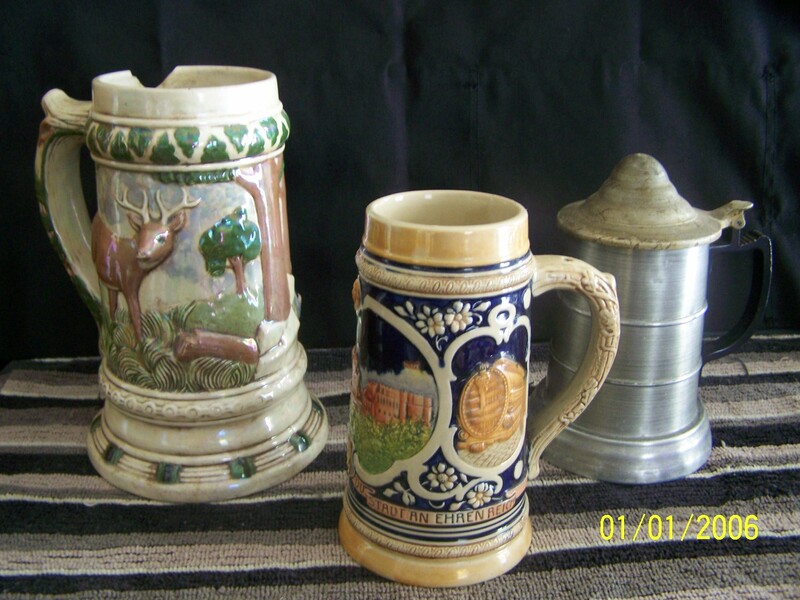 This mug is also an eye-catching attraction of the B.L.A.S.T.Museum Tankard And Stein permanent collection. 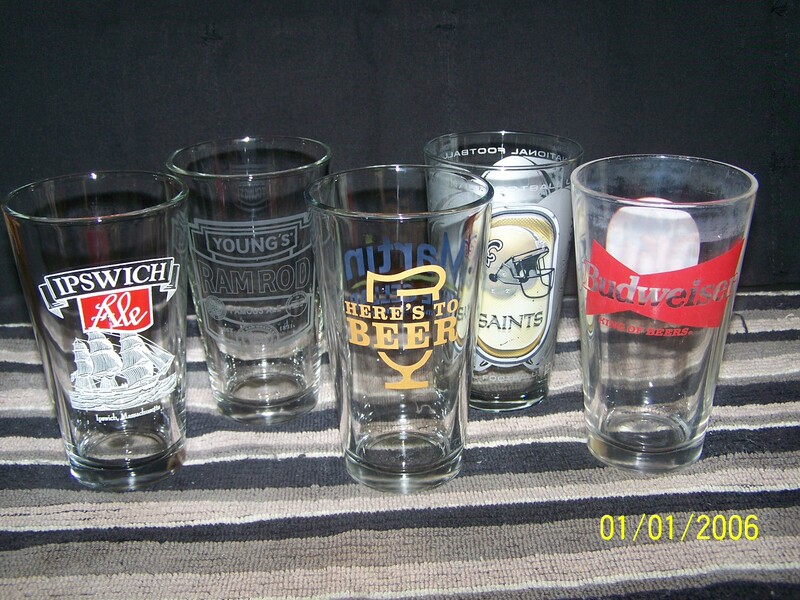 The American Shaker Pint glass is considered the traditional pint glass. 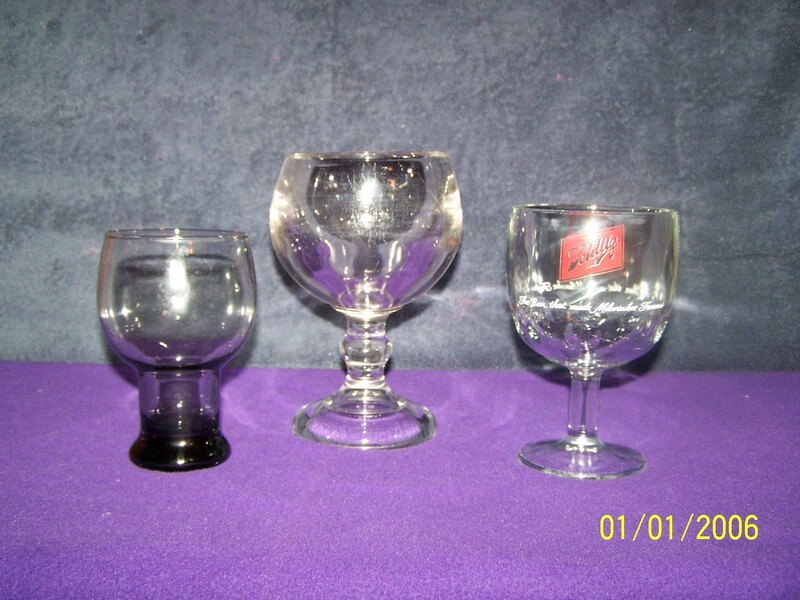 Its wide mouth allows easy sipping and is used to generally serve American Lager and American Ale. The shaker pint glass is also considered a standard style because their simple shape allows them to be produced easy in mass quantities.